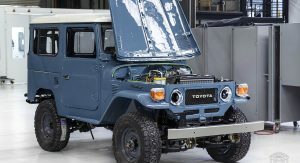 Still mourning the demise of the Toyota FJ Cruiser? 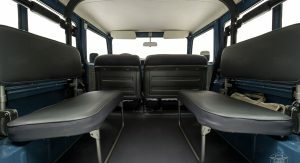 Let us put your grieving heart at ease and suggest something even better. 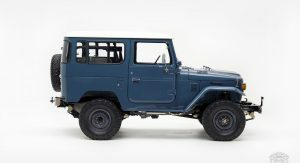 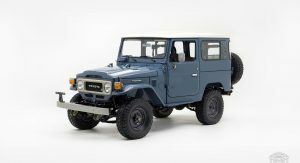 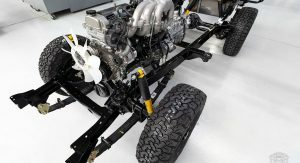 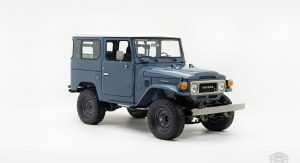 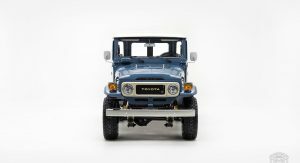 The FJ Company has cut out a niche for itself resto-modding old Land Cruisers, the type after which the discontinued retro FJ Cruiser was modeled after. 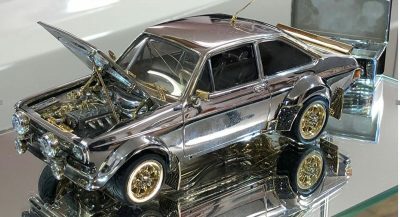 This right here is their latest commission, and to our eyes, one of the most tempting we’ve seen yet. 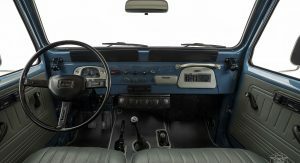 This complete body-off restoration was commissioned by a customer near Topeka, Kansas – a landlocked part of the country that’s about as far from the Atlantic Ocean, Gulf of Mexico, and Great Lakes as you can get. 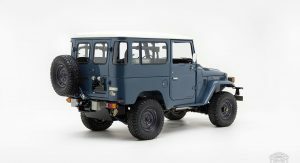 But it looks ready to storm the beaches of some far-flung coast, all decked out in Cadet Blue like it was built for the US Navy. 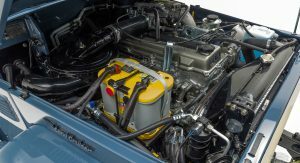 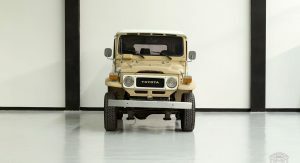 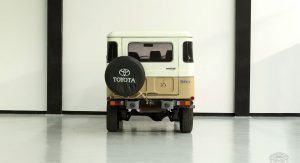 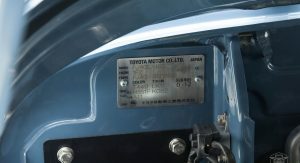 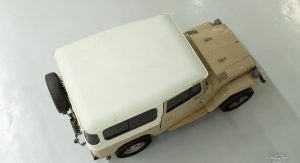 The vehicle started life as a 1982 Toyota Land Cruiser FJ40 two-door hardtop in beige and white. 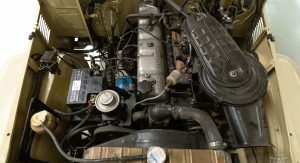 And from the pre-restoration photos, it looks like it was in pretty good shape, considering its 36 years on (and off) the road. 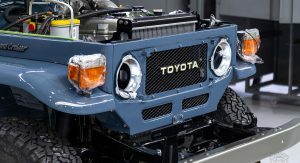 But by the time The FJ Company was done with it, the truck looked better than new. 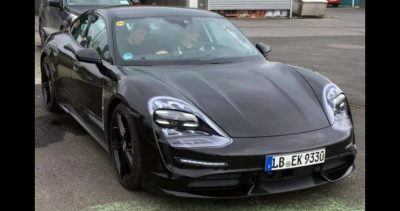 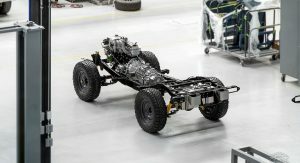 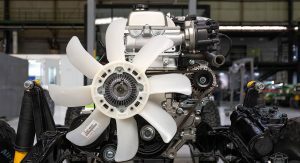 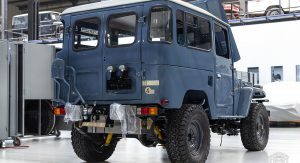 In the process, the experts fitted it with a modern Toyota 1FZ engine with fuel injection by Haltech, a five-speed manual transmission, front disc brakes, an Old Man Emu suspension, power steering… the works. 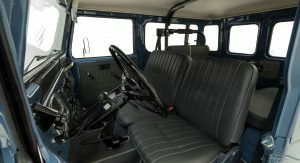 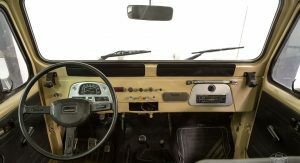 Inside it features a 60/40 split front bench, gray vinyl upholstery, even modern equipment like air conditioning and an audio system with vintage-look head unit and iPhone/Bluetooth connectivity. 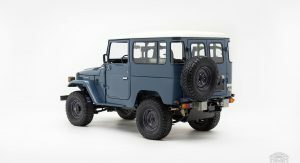 If you like what you see from the photos below, The FJ Company will build you one just like it, or to your own specifications. 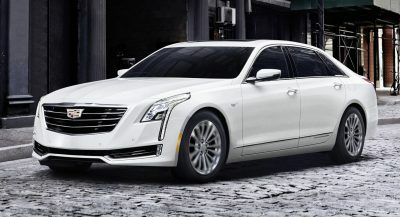 But it’ll cost you: prices start at $120,000 for the Classic model and range up to (and over) $200,000 for the Signature series. 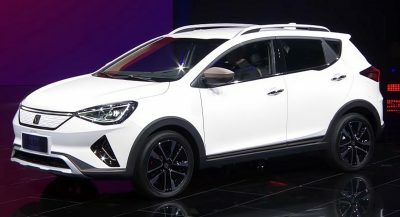 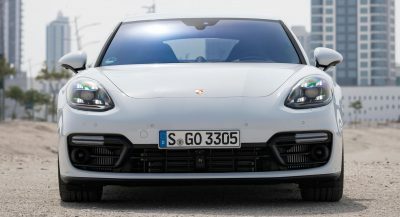 A Sport model like this one (or the one featured in the video below) starts at $150,000, which is a sizable chunk of change that would get you just about any new luxury SUV on the market today. 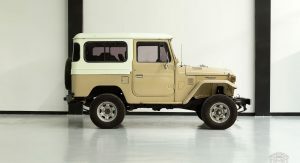 But none of those would offer the kind of classic appeal that this one does. 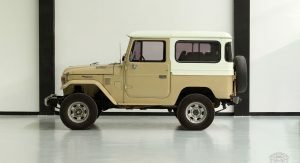 But I can see they are still restrained in terms of making it unique, so more like sleeper. 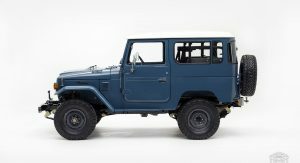 Maybe someone can ask these guys to make cars like Icon Bronco. 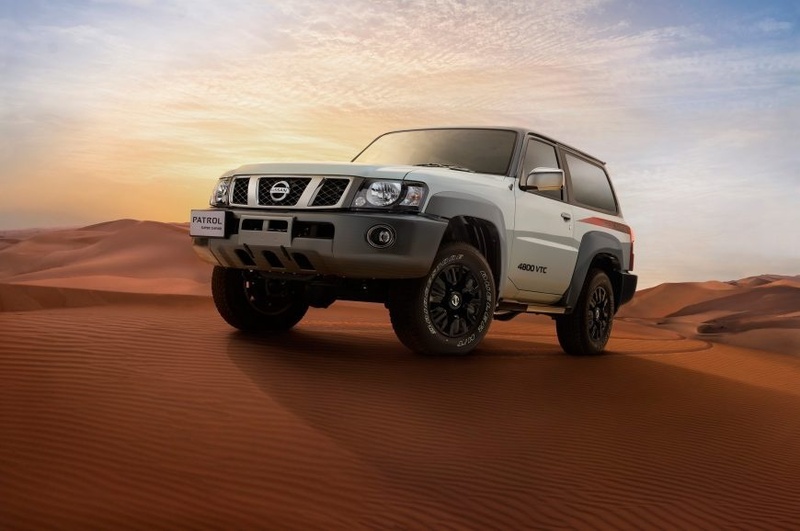 luckily for us in the middle east, if an old school SUV in need we still can buy the y61 Nissan patrol at $35k. 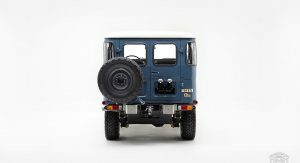 Way more cable and more recipient to mods.